ABC school opened its doors just this school year. 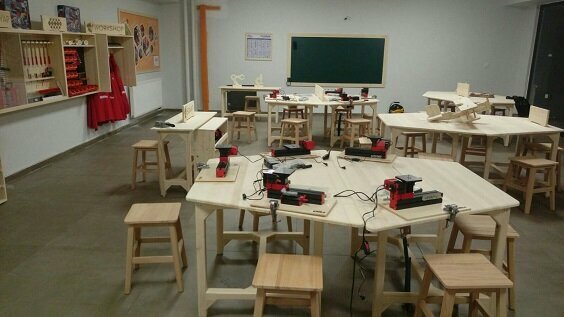 Their educational approach involved active learning and so they established 15 workshop spaces on various topics, in their premises. This was fertile ground for BEACONING. Geolocation games with beacons are prepared for students during which they would discover facilities in various workshops. After the initial trials and teachers fine-tuning of the game challenges, the games are scheduled later in May, during festival week.